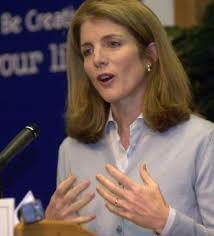 Caroline Kennedy: Are you kidding me? Caroline Kennedy should not take Senator Hillary Clinton’s senate seat. This is an absurd notion. What experience has she had? She’s a lawyer. Wow that’s something. Oh and she has written books on the Constitution. Who the hell cares what she has written. She has also written numerous books on poetry. She’s really trying to tell me she has the experience to represent the entire state of New York? I’d prefer Obama, although he is going to be the future president, take her place because as a community organizer he has had atleast a little more experience than Caroline Kennedy.